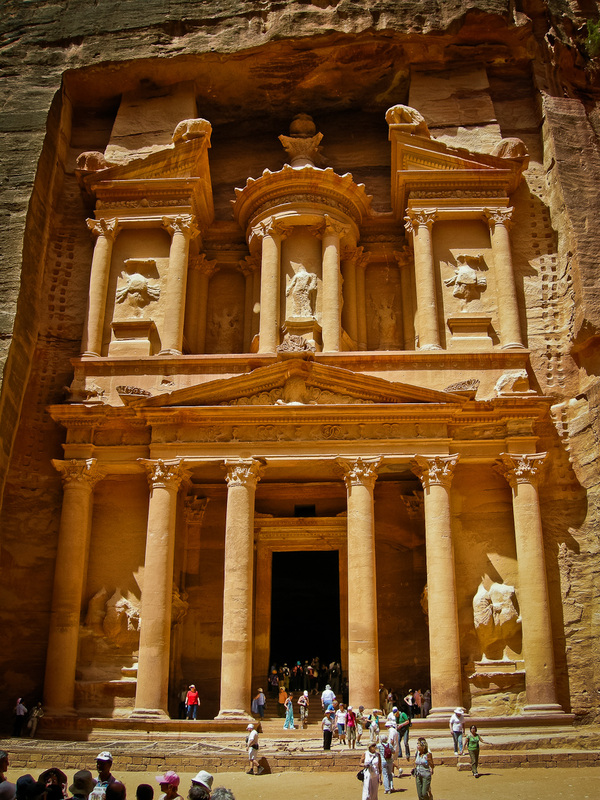 Does Petra “fit the bill” as a refuge during the tribulation? Hmmmm….haven’t we read that the antichrist holds sway over the whole world, precluding any place of safety? It seems he may not according Biblical prophesies such as Daniel 11: 41, “ He will enter the glorious land of Israel, and many nations will fall, but Moab, Edom, and the best part of Ammon will escape.” Apparently the Hashemite Kingdom of Jordan, which entered into a peace treaty with Israel in 1994, escapes the cruel hold of the antichrist, making Petra an ideal refuge for the Jewish remnant. In addition, many scholars believe Revelation 12:14 points to Petra as the place the “woman”….a symbol of Israel…escapes to. Finally, Isaiah 63:1, a prophesy regarding the 2nd Coming, foretells the defeat of the Lord’s enemies and His protection of the remnant at Bozrah, an ancient city in the vicinity of Petra. No matter how or if God uses Petra during the tribulation, Petra remains an enigmatic place from yesterday, a spectacular world heritage site today and a possible refuge tomorrow. People searched for the Rose Red City for centuries, intrigued by its prophetic place in the future and its past. As you walk down the ancient Siq those same mysteries will intrigue you! Surrounded by impassible mountains, enclosed by towering rocks and watered by a perennial stream, the city of Petra remains an enigmatic ancient fortress. A dim narrow gorge called the Siq, at some points no more than three meters wide with walls that tower hundreds of meters up on either side, protects the secrets of this city carved from sandstone cliffs. This natural entrance kept invaders out and those inside safe. Despite successive attempts over 700-plus years to bring Petra under their control, invading kings and emperors, including Herod the Great, could not wrest the city of Petra from its Nabataean architects. The Nabataeans were descendants of Nabioth (Nebaioth), the eldest son of Ishmael, the son of Abraham and Haggar, Sarah’s handmaid (Genesis 25:13). The first mention of the Nabataeans comes in 647 BC, when the kingdom is listed among the enemies of the Assyrian Empire. The tribe migrated out of the Arabian Peninsula to the area of Petra after the Babylonian Empire depopulated Palestine and neighboring Edom during the 6th century. The Nabataean’s wealth made it possible to withstand numerous enemy attacks, averting Persian, Greek, and even Roman control for a time, ensuring independence through the time-honored paying of tribute. The kingdom controlled the northwestern part of Arabia and the Transjordan until the 1st century AD, when the last Nabataean King, Rabbel II, struck a deal with Rome and upon his death the kingdom passed peacefully into Roman hands. Taking advantage of the power vacuum that arose within the Greek Empire after Alexander the Great’s death in 325 BC, the Nabataens began reaching further into surrounding territories. During the historic 200 year struggle between the Seleucid and Egyptian armies that raged over and throughout Palestine, the Nabataeans filled the corresponding power void and extended their empire far beyond Petra, controlling even Damascus in far away Syria. History and archaeology tells us that Petra became not only the capital city of this large Nabataean empire, but an important religious center and tribal burial ground. The Nabataeans grew wealthy on caravan trade, taking advantage of Petra’s location at the intersection of two major trade routes between the Arabian Peninsula, Damascus and Asia. Indeed, their prosperity, amassed in the middle of one of the harshest climates on earth, is an untold story of this amazing civilization, one that the city is still revealing today through excavations and artifacts. 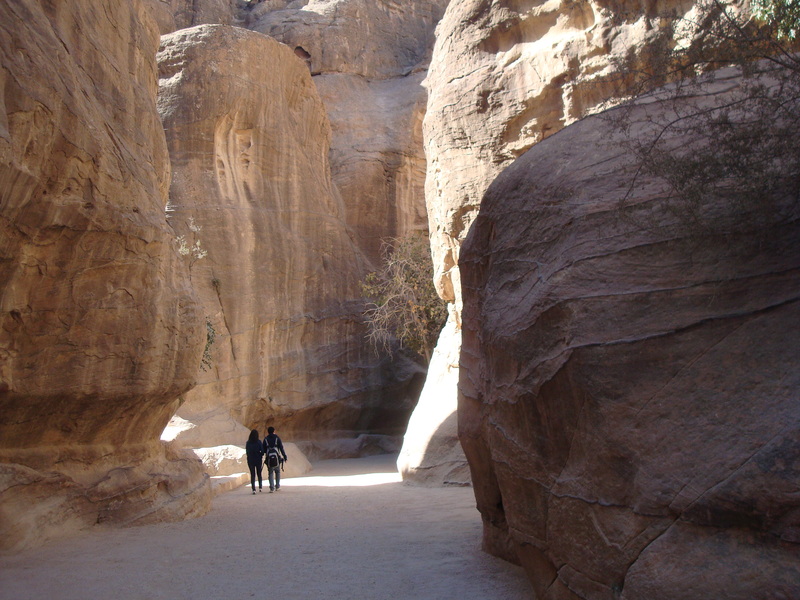 Petra’s location, access to water…more important than gold in that wilderness…and the ability to negotiate their independence, ensured a monopoly as an oasis and stopover for caravans. Once they realized this, they retired their camels and began charging passing treasure laden caravans for water, lodging and safe passage. To the delight of Petra’s businessmen, it seems all roads went through Petra as endless streams of caravans, loaded with frankincense, myrrh and aloe from Arabia and black pepper, precious gems, textiles, nard and spices from India, lumbered past the rose red city. 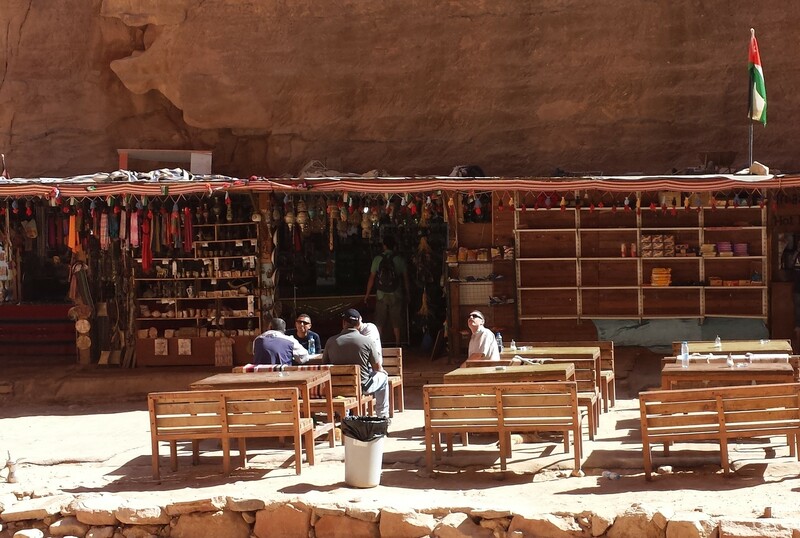 Trading still takes place in Petra, however today you bargain for camel rides, horse rides, and pony carts that take you down the Siq, or haggle in tented shops stocked with exquisite jewelry, postcards, trinkets, scarves, and the occasional antiquity. 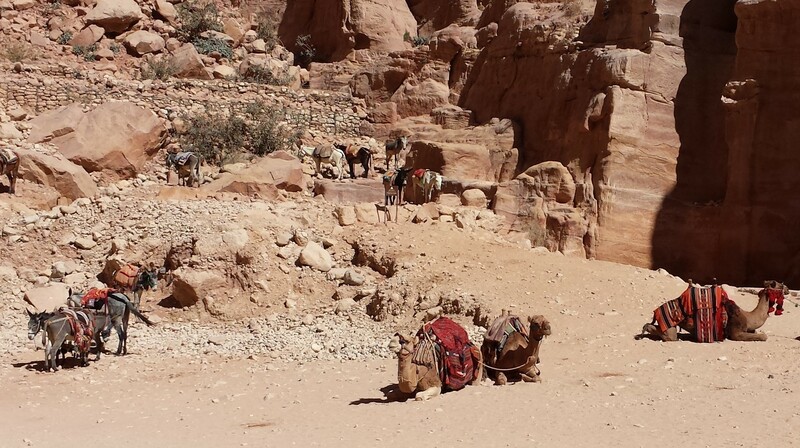 Until 1980, when they were relocated about 4 Km away to a settlement constructed for them, Petra was home to the Bdul Tribe, a Bedouin community who had been living in Petra’s carved structures and ruins for as long as anyone could remember. Today, along with other Jordanian nationals, they are among the guides, camel jockeys, horse riders and shopkeepers you encounter as you visit Petra. 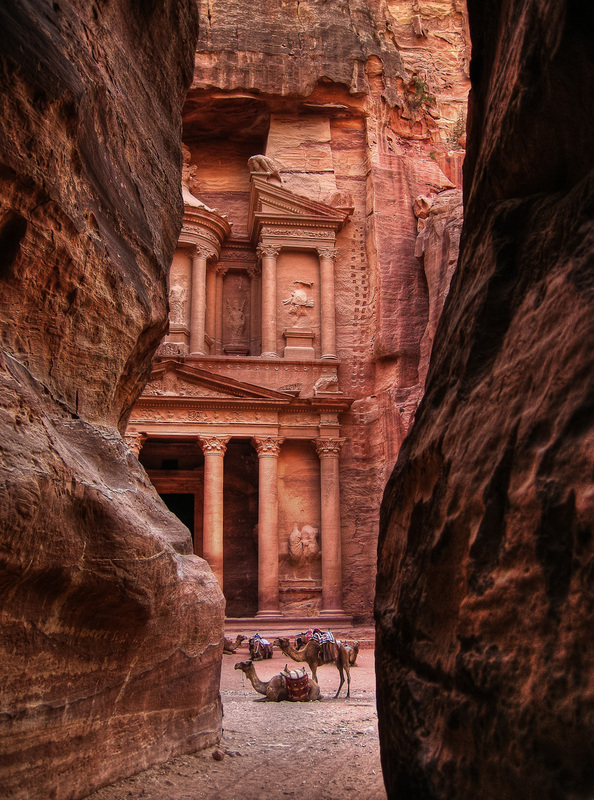 The past, the present, and the future all in one place….check this ancient mystery off your bucket list and visit Petra with us next year! Really nice & informative post you have shared. 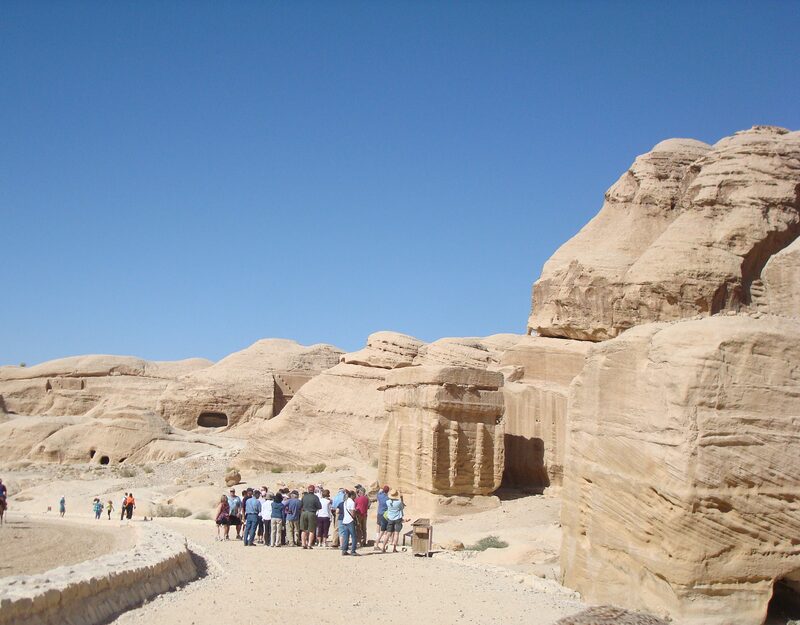 Even I have travelled that place recently through Mantis Tours & also have some general knowledge about Petra. But after your post I knew some new things about this place in details. Thanks for sharing this. Yes, It’s really an ancient place to visit all over. Thank you Sophia! I appreciate your comment. Petra is my favorite place to visit.